Teach yourself Excel basics, functions, and advanced formulas using these resources. 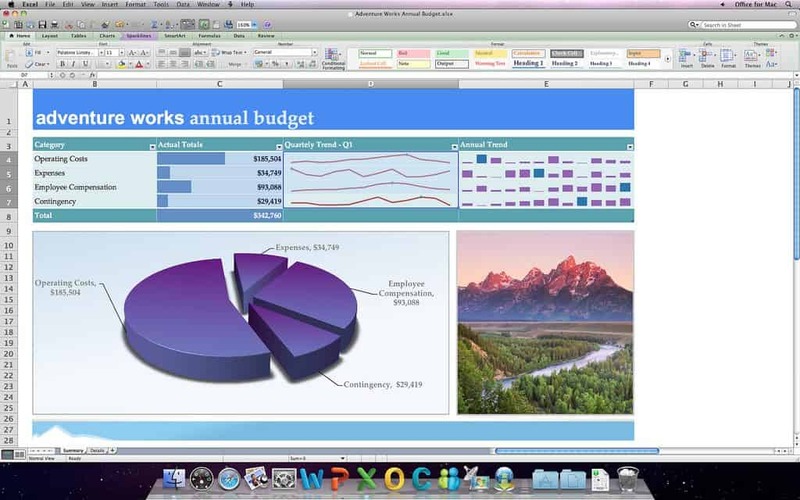 Microsoft Excel is used in all types of industries and professions. If you go to business school you should expect to at least have two or three Excel-specific classes, along with a wide range of other classes that utilize Excel as a tool. Considering the internet is filled with free and inexpensive classes, it makes sense that you can find a wide range of Microsoft Excel tutorials to guide you through the process. What’s cool about these tutorials is that combining many of them together often gives you a more in-depth look into Excel than a regular college course would. Not only that, but you’re not spending as much money, you can work at your own rate and you’re not required to go into a classroom. It’s all done from the convenience of your own computer. Analysts, consultants, marketing professionals, bankers, and accountants all use Excel on a consistent basis. You might even find that other random professionals like graphic designers and engineers are working away with the powerful formulas and charts that come with Excel. Seeing as how Excel is so prominent in the workforce, it pays to learn all about it and put that experience on your resume. You might find that your current degree isn’t yielding any job prospects, so getting into Excel could get you a job in the meantime. Developing your Excel skills using online resources could improve your employment prospects without the need to spend a lot of money on college courses. Learning Excel might even improve your job opportunities if you lack educational experience. People who didn’t go to college can get into coding, of course, but the same can be said about Microsoft Excel. Upon completing the right training, you automatically make yourself more valuable in the modern day workforce. The Excel Easy Website: This tutorial gets you started with Microsoft Excel without going overboard with jargon and technical terms. It begins with things like formatting cells, locating ribbons and workbooks, and using keyboard shortcuts to speed up the editing process. The Motion Training YouTube Channel: Provides a compelling place to start your research, since the beginner video is only nine minutes long, and it has visuals for you to follow along. The beginner’s course has four sections, so it allows you to break it into chunks and make notes as you skip around whenever you need to reference back. Get Started Guide from Microsoft: Delivers a three-part video course with essentials for data entry and editing spreadsheets. Color coding and data bars are also covered, along with information about how to generate charts and pivot tables. GCF: A free learning environment with a wonderful compilation of Excel tutorials and videos. The online guide starts with an introduction and an explanation of OverDrive. Then it moves onto working with cells, sheets, data, formulas, and functions. Includes information on how to buy Microsoft Excel, along with a list of the newest features in recent releases. Chandoo: Find intermediate information about conditional formatting and creating reports quickly. The raw basics are outlined in this one article, using some text, images, and video. However, it also has some additional resources for you to click through and read more. This Excel Made Easy Beginner’s Guide: Available from Keynote Support, this tutorial dives into questions like “What is Microsoft Excel?” Although it might sound extremely basic, it’s a good question to ask when you’re trying to learn. There’s also a wonderful layout of the structure of a simple Excel worksheet. This way, you know exactly where to go while learning the Excel terms and shortcuts. Excel Exposure: Has a free online training course with links to several video lessons. Conditional formatting and error checking are just some of the topics covered in the earlier sections and goes all the way to macros and some more advanced information. Excel Exposure has a large community of followers. You can connect with these people and ask questions that actually get responses in the comments. Excel Tutorials from Guru99: Provides answers to questions on Excel functions, visualizing data charts, Excel in the cloud, the difference between CSV and Excel. It has some niche topics that you can’t find anywhere else, and it’s all free with beautiful imagery and animations. The WikiHow for Wow to Use Excel: This might be one of your first stops if you’re a complete beginner with Microsoft Excel. Although it’s not all that comprehensive, the guide touches on the true basics with screenshots that have zoomed in areas and arrows to guide you. Everything from printing your Excel sheet to completing basic functions is covered here in an easy-to-read format. The Basic Excel Functions page: Even advanced users need a refresher in the simpler functions in Excel, and this is a solid resource to have handy. For instance, you might need to find out what the Find and Replace function is. A quick search through this article gets you to the answer. Excel Advanced Formulas and Functions: This course has been viewed thousands of times, and it takes around six hours to complete, with videos, downloadable materials, and a transcript. The exercise files improve the way you learn, since you have a chance to practice during the course. The Excel Math Functions: This list is a good starting point for anyone interested in learning even the most basic of functions. It goes deeper into the more advanced usage, so you get a whole range of what to expect when making your own formulas in Excel. iSchool University of Texas website: Covers advanced formulas and functions, including financial formulas and conditional functions. Some other functions you might find interesting include Len, Proper, Trim, and Rounding. The financial formulas section is particularly intriguing for those who would like to work in accounting or banking. Top 25 Microsoft Excel Advanced Formulas: Hands-on Tutorial: If you’d like to have the majority of the information you need in one place, paying for a Udemy course may be sensible. This one has had over 9,000 students enrolled, with courses for mastering the top 25 most advanced math formulas in Excel. It teaches real world examples for the formulas so you can see how to utilize them in the future. Microsoft Excel – Advanced Excel Formulas & Functions: Another impressive Udemy class with tricks and tips for those in the real world. The course states that it’s best for analysts, and covers over 75 of the most advanced formulas in Excel. Dozens of PDF quizzes, practice files, and slides are available for download, and a beautifully structured course outline is there to walk you through some of the more complicated techniques. Excel as a Financial Calculator: this article is particularly useful since not everyone is at work with a real financial calculator. In fact, most of the time you’re on your computer with Microsoft Excel open. So it makes sense to learn these functions in many fields. We like the key that compares some of the more advanced functions in Excel to buttons on a financial calculator. This allows you to seamlessly transition from a calculator to the Excel spreadsheet. Excel Exposure: Provides an advanced Excel tutorial starting with an introduction to tables and a wide range of math and statistical functions. For example, you’ll learn about Roundup, Countif, Rounddown, Countblank, Median, and much more. Excel Exposure keeps its articles on the shorter side, which is good if you want to absorb the information in small helpings. Advanced time and math calculations: Helpful guides primarily delivered in video format. 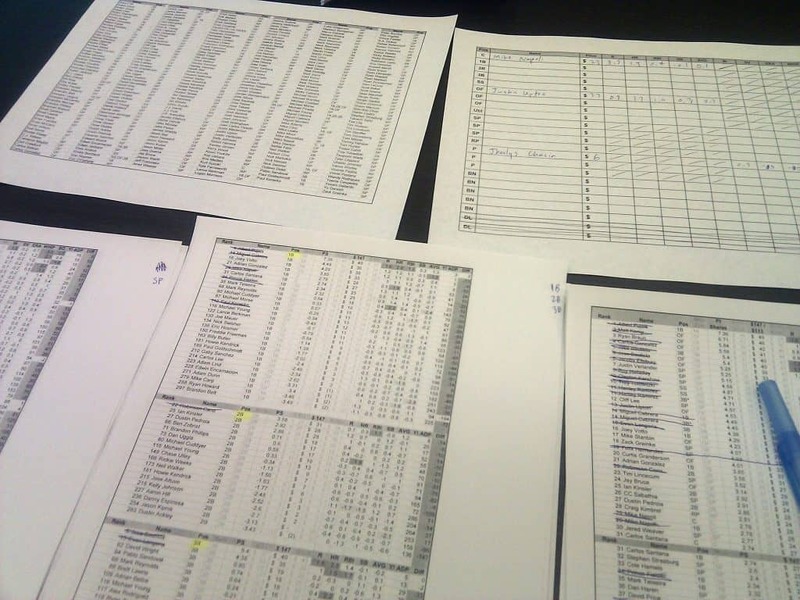 All of the calculations are done through Excel, allowing you to see the visuals and practice them on your own time. The videos are short as well, so you’re not intimidated when getting started. Microsoft Office Tutorial on Importing Data into Excel and Creating a Data Model: One of the main reasons people use Excel is for data mining and creating databases in general. This expands on the essentials of data insertion and organizing that data afterward. The tutorial is broken down into several easy to understand links, so jumping around isn’t that hard. For example, you could start with learning how to import data using copy and paste, then go straight to creating a relationship between imported data. Building a database in Excel with a table or list: Wonder How To provides a few simple video tutorials for those interested in this topic. It’s just about the most basic you can get with Excel databases, and the videos are short enough so that you’re not overwhelmed with the content from the start. Using Excel as your database: A nice tutorial from Chandoo. It includes animated GIFs to complement the text. This speeds up the process of learning, since the images are zoomed in, yet still moving, for a more engaging guide. It explains the code module too, which is an interesting take on the entire databasing process. Be warned that some of the images are from older Excel versions. Setting Up a Database in Excel 2013: The primary course is only about an hour, and it’s run by Excel expert Dennis Taylor. Some of the topics include working with formulas, using sliders to facilitate table filtering, and using data validation to restrict data entries. All of these topics come with some downloadable information and practice forms. Best Excel Tutorial: Explores database functions with the most common function you would ever use when constructing or mining a database. For example, some of the headers include functions like Dmin, Dproduct, Dvarp, and Dvar. How to Create a Database in Excel: Begins with a database overview and moves onto other more advanced topics like filtering data and completing database formatting. The formatting section is one of the most important parts, since the whole point of a database is for use in the real world. If making a database doesn’t translate to the real world, then you haven’t mastered it. To really understand how to use Excel, you need to be able to write functions. Once you learn the basics, you’ll be able to create powerful spreadsheets that unlock the true power of the tool. 10 Most Commonly Used Functions in Excel: A nice place to get the ball rolling, since you don’t have to work through any problems or handle any worksheets. The tutorial is all shown on the video. Excel Formulas and Functions: a tutorial from Excel Easy, this starts with copying and pasting and going all the way to inserting a function. These are the true basics, so it might seem a little rudimentary to some. Comprehensive List of Just About Every Function You Can Think Of: This isn’t technically a tutorial, but it’ll be invaluable as you work through some of the others on this list. It starts with Count and Sum, where you can click on that link and see the formulas that relate. The website has plenty of other categories for statistics, financials, and more. 15 commonly used Excel shortcuts: This is a cheat sheet from PCWorld that includes formulas, too. It serves as a quick reference for anyone who needs it. NCSU: Handles the majority of graphic requirements with links to topics on bar graphs and histograms. Importing text files is covered, along with the most basic of graphing for those just getting started. 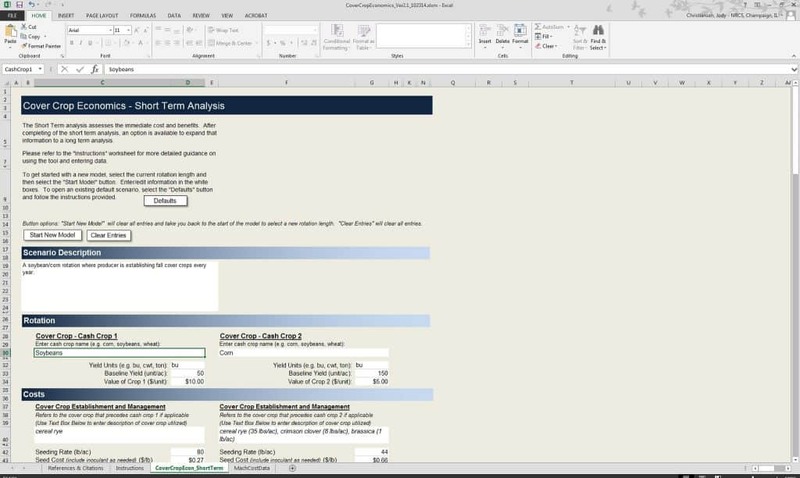 How to Make a Chart or Graph in Excel: A tutorial complemented by a video on HubSpot. A collection of free Excel templates is provided in the tutorial. This improves your usage of the graphs since it displays graphs in their full form and asks you to make them in return. Create a Chart with Excel Easy: Guidance that helps you make a graph about the wildlife population to see how a student or someone in the wildlife industry would do it. Microsoft Office tutorial: This is one of the best tutorials because it shows you how to create a chart from start to finish. Some of the tutorial is done through a video, but the majority of the learning comes from a large article with pictures and hints on moving your chart, resizing, and showing a legend. Creating Advanced Charts: Guru99 is known for its advanced tutorials, and this one is no different. The guide talks about the importance of advanced charts, while also touching on topics like making combinations and changing axis titles. Print a Worksheet: This article from Excel Easy delves into the most common form of printing in the Excel world. Printing Workbooks: This topic might seem intimidating but Chandoo has you covered with a five-minute video and some other related items like converting Excel to PDF and printing Excel cell comments. How to Print in Excel With Grid Lines: Answers a question that many people have along their Excel journey. The grid lines come in handy for many professions, but this tool seems to be hidden in Excel. The good news is that it only takes around a minute to get the job done. Learn advanced functions in Excel with these programming resources. Home and Learn: Offers a full, free course filled with tutorials on mastering VBA programming through Excel. Strings, loops, and arrays are all covered here, along with variables and conditional logic. Excel With Business: Your go-to stop for building your career with the help of Excel. The Business Analysis course talks all about turning buckets of data into sound business decisions and taking that data and making it relevant to other business people. Advanced Excel program: Useful for those who had training in the past but want to go into more of a “graduate school” for Excel in Business. Excel is one of the most useful tools in the Microsoft Office suite, and learning how it works can improve your job prospects and help you to be more confident in your use of mathematics. These resources will support you as you learn. 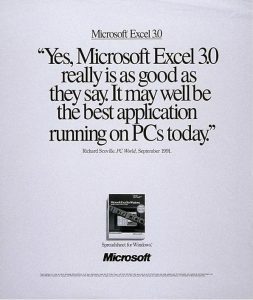 Microsoft Excel 3.0 Advertisement 1991-92 by Microsoft Sweden under a CC-BY-2.0 license. The cover crop tool screenshot by the US Department of Agriculture under a CC-BY-2.0 license. Excel 2011 by Microsoft Sweden under a CC-BY-2.0 license. Microsoft Excel on a floppy by Pelle Wessman (edited) under a CC-BY-2.0 license. Auction draft by Logan Ingall (edited) under a CC-BY-2.0 license. Previous: Start Building a Robot Right Now. Here’s The First Step.